Tata Motors has joined hands with Tata CliQ to offer the customers chance to book test drive online. Tata CliQ is the e-commerce portal of the Tata Group. From now on, using this platform, apart from booking test drive, the customers can also explore several additional features. 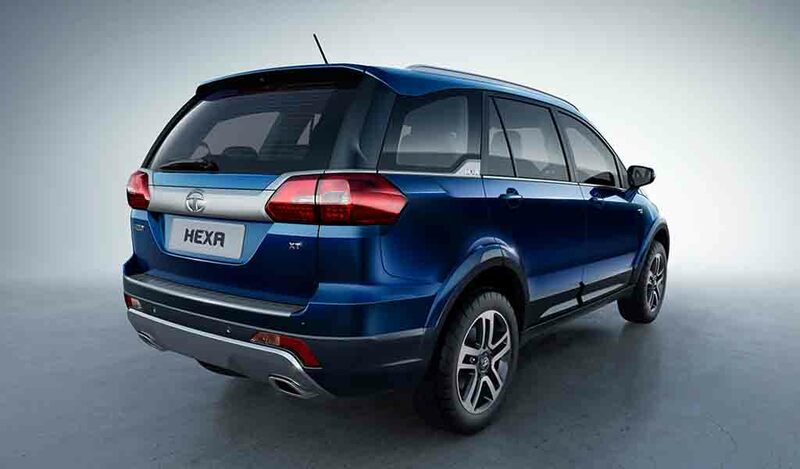 The Hexa is priced between Rs. 11.99 lakh and Rs. 17.49 lakh (ex-showroom, New Delhi). 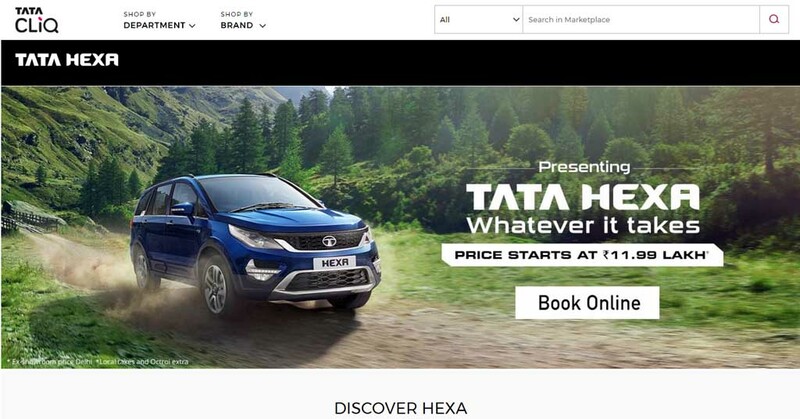 Hexa is the flagship car from the brand, which has created quite a buzz with its eye-catching design, features on offer and powerful powertrain. The Hexa is designed following the Hexa concept displayed at 2015 Geneva Motor Show. The car has been designed with inputs from Jaguar Land Rover engineers. The tough looking vehicle clearly blends the design of Land Rover models with its own IMPACT theme. The production model was showcased at the 2016 New Delhi Auto Expo in February last year before launching in the market. 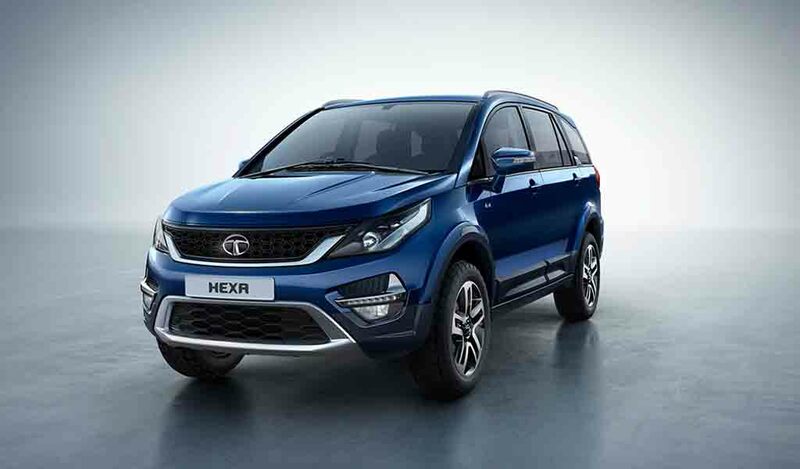 Tata Motors has produced this vehicle keeping the global market in mind, not only the domestic market. Hexa is basically a heavily redesigned version of the Aria, which couldn’t fetch a good response. It is based on the lightweight and rigid X2 platform and it shares several elements with Land Rover SUVs. The Tata Hexa throws tough challenge to some of the established rivals in the UV segment like the Toyota Innova Crysta, Mahindra XUV500 etc. It gets Terrain Response System from JLR, making it capable of taking on any type of road. Power source for the Hexa is a 2.2-litre VARICOR 400 diesel engine borrowed from Safari Storme. It is mated to a 6-speed manual transmission and there is a 6-speed automatic gearbox on offer as well. The engine is well capable of churning out 154 bhp of peak power and 400 Nm of peak torque, and the car is available in both 4×2 and 4×4 driving configurations.